Educational Loan is helpful for those who want to study their dream course. 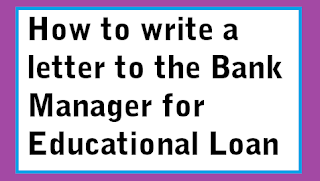 The person who need educational land is required to the contact the Bank manager of the bank from where the educational loan he / she want to obtain. 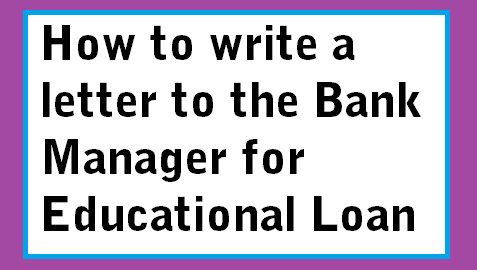 If you are asked to write a letter to the bank manager requesting him to sanction your educational loan, then the following sample letter format will be of more helpful in writing a formal letter. I am an account holder of your bank here. I am very much satisfied with your service you offered so far. Now my daughter has completed her schooling and wishes to join medical course. She has obtained the deserving marks in H.Sc. But the cost of studies is too high. I request you to sanction an educational loan for Rs.5 lakhs. Note: This is sample letter format only. The readers are advised to make necessary changes in the letter format wherever applicable. 3. What is MAB in SBI? How to calculate it?